In recent years, Hungarian M&A market activity has intensified with several market-driven and some state-driven transactions. According to research, the number of Hungarian companies interested in merger and acquisition transactions is increasing. These companies – mostly well-developed companies with established markets and good management teams – are looking for potential strategic or financial buyers and some are also looking for acquisitions. The motivations of the sellers vary: generational change, retirement, market barriers to further growth, and exit strategies of venture capital firms are among the most common reasons. After the financial crisis, operational efficiency was the main focus for companies, but as the global and local markets are now more stable, companies are willing to invest their cash reserves. These companies are sitting on a record amount of cash and uninvested capital and they need to make that capital work, especially in today’s low-interest-rate environment, to support strategic growth. Recent market trends and deals have led to predictions of an expansion in market M&A transactions. In the last few years, an impressive and wide range of deals has taken place in Hungary with investors from the EU, South Africa, the USA and other parts of the world. In the frst 6 months of 2017, merger and acquisition deal numbers in Hungary werecomp ar ab le to the same period of the previous year, with signifcant growth from 2012.Publicly-available deal information shows that approximately 79 M&A deals were closed inH1 and 57 deals in H2 2016 and 66 deals in frst half of 2017 with a value of almost EUR 1.0billion and EUR 0.9 billion in the two halves of 2016 and EUR 1.0 billion in the frst 6 monthsof 2017. These numbers include traditional acquisitions, venture capital and major propertyinvestment deals. From H1 2016 to H1 2017, the number of deals showed a slight decrease (-15%) due to global uncertainty, but compared to H1 2015, the value of transactions remained at the same level (EUR 920 million). The M&A market was strong in the frst 6 months of 2017, and this is expected to continue in the second half of the year. Hungarian companies are also active in outbound transactions, having closed 10 foreign acquisitions in 2016; the main target country was Poland. In the frst 6 months of 2017 the most active market segments were real estate, food and beverages, telecommunications and IT, with about 50% of Hungarian M&A deals happening in these three sectors. The services, manufacturing, media & energy sectors were also popular among bidders in 2016, with a 5% to 10% share per sector. In the CEE Region the most active countries were Poland, the Czech Republic, and Hungary. Deal numbers across the CEE Region typically decreased slightly in H1 2017, as they did in Poland and Romania, but the Czech Republic experienced dynamic growth to become the most active market in this period. Analysis of the background of the acquirers shows that the majority of these were strategic investors. 39% of M&A transactions in the CEE region (from 2015) involved private or family-owned companies, while 31% of the acquirers were listed on a stock exchange. Financial investors, investment funds, and private equity investors together formed a 25% share of the acquirers, while the remaining 5% were state-owned companies and organizations. In the last few years, strategic investors were dominant, with a 55-75% share of the M&A market. Analysis of the background of the acquirers shows that the majority of these were strategic investors. 39% of M&A transactions in the CEE region (from 2015) involved private or family-owned companies, while 31% of the acquirers were listed on a stock exchange. Financial investors, investment funds, and private equity investors together formed a 25% share of the acquirers, while the remaining 5% were state-owned companies and organizations. 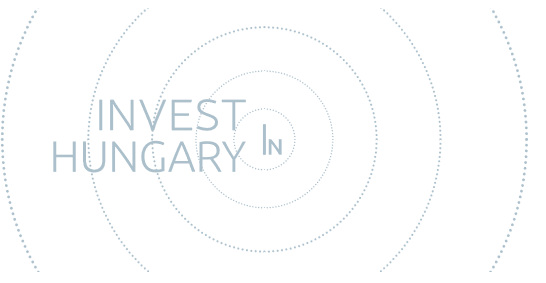 In the last few years, strategicBoth in Hungary and in the CEE region the activity of private equity funds is expected to increase or remain the same as last year. Private equity frms will look for companies with strong market positions, stable and recurring cash ﬂows, positive industry and market outlooks and strong management teams. These attributes indicate that the most favored segments in the region will be manufacturing, food and beverages, healthcare and pharmaceuticals, technology, media and ICT. M&A MARKET TRENDS IN HUNGARY In recent years, the Hungarian M&A market has been driven mainly by larger state-backed or corporate transactions, but in the following period several acquisition opportunities will be triggered by the expected retirement of CEOs and the exit plans of JEREMIE venture capital funds. More than 25 years after the regime change in Hungary, many Hungarian company owners are approaching retirement age, and often there are no family members to continue the business. These market participants generally sell their companies and, due to this, Hungarian M&A activity will increase in the next 5 years. Several thousand medium-sized companies are in such a situation of generational change. This trend is creating attractive opportunities to acquire functioning businesses and complete new investments. Some of these potential target companies work for the world’s largest enterprises. They are typically engaged in traditional industries such as metals, plastics or timber, construction, agriculture, and machinery, but also in more innovative areas such as IT services, software development and telecommunications. The other major impact on the M&A market is the exit-pressure of the partly EU-fnanced Hungarian JEREMIE venture capital funds (Joint European Resources for Micro to Medium Enterprises) and the state-backed Széchenyi Venture Capital Fund (SZTA). These JEREMIE and SZTA venture capital funds have more than 200 mostly innovative investment projects in software development, IT, biotechnology, telecommunications, medical devices, etc. In the next few years (by 2020-2024) these funds will have to exit from their investments due to EU regulations. Therefore these technology target companies will be on the market for potential strategic or fnancial investors. They typically already have products developed and strong management and are in the smaller (under EUR 5 million) deal-size range. In the last few years, several successful exits have occurred in Hungary. For example, Euroventures exited from the Hungarian data specialist SequenceIQ and from MediMass. MediMass’ Rapid Evaporative Ionization Mass Spectrometry technology was acquired by Massachusetts-based Waters Corporation. Another JEREMIE fund called PortfoLion exited from Cryo in 2012. In 2016, a total of 16 venture capital and private equity exits occurred on the Hungarian market, representing the most active period over the last few years. In the case of listed or private equity-backed companies, continuous growth pressure is the main motivation for acquisitions. Following the end of the fnancial crisis, market expansion has become more important. If there is little possibility for companies to grow organically, they will look for strategic M&A for growth in order to protect their market positions. Other motivations for deals for potential acquirers in Europe include: access to technology, intellectual property, brands, regional distribution channels, existing property and real estate, and natural resources. There is a large amount of liquid capital on the market that is available to fnance M&A transactions which have higher ROI than companies’ bank accounts. Beside companies’ large cash reserves, the favorable interest rate environment could also raise M&A activities on the Hungarian market. Acquirers could also fnance their deals by credit with favorable terms. This situation will help management buyout and buy-in deals as well, generating further demand for Hungarian companies. The Hungarian M&A market is expected to be dominated by cross-border transactions, where good targets in active sectors can attract several buyers. In these transactions, the seller can reach good deal terms and purchase price in a competitive auction. The Hungarian M&A market is becoming more attractive for investors from new regions, for example China, the Middle East and South Africa. For these investors, access to the EU market, new technologies and the skilled, cost-effective labor market are the main reasons for investing in Hungary. For example, one of the largest private deals in the last few years was the acquisition of Hungary’s Scitec Holding, a leading sports nutrition producer, by South Africa’s Ascendis Health for around EUR 170 million. There are two industry segments in which M&A activity is expected to grow in the next few years (both in number of deals and value): private healthcare providers and agriculture. The private healthcare industry is relatively new to the Hungarian market – it was only introduced after the transition period in Hungary. Since then, several private healthcare providers have emerged, fnding niche markets where public healthcare provision was insuffcient or ineffcient. This market has matured in the past several years and the consolidation of the market is expected. Agriculture is another industry where M&A activity is expected to grow, as the generational change of owners and management is becoming imminent.